Trading standards officers have raided three shops in Surrey suspected of selling so-called ‘legal highs’ and seized more than 100 products. They made unannounced visits to three shops last week in a crackdown on the sale of dangerous substances which mimic the effect of illegal drugs. Accompanied by police, they targeted two shops in Guildford and one in Ashford and took away more than 100 samples for testing. If the packs are found to pose a risk to health, trading standards officers will apply to the courts to get them destroyed. Steve Ruddy, of Buckinghamshire and Surrey Trading Standards, said: ‘Some customers may think products commonly known as “legal highs” are safe because they are available to buy in high street shops. ‘In fact these substances can be highly dangerous and should not be on sale to the public. ‘They are often sold as plant food or incense or labelled with disclaimers such as “not for human consumption” but we are saying to stockists those attempts to get round the law won’t wash. ‘We are committed to protecting Surrey residents and our actions in targeting stockists are intended to rid the streets of these drugs and keep our communities safe.’ The three shops had previously been warned of their duty under the 2005 General Product Safety Regulations to ensure that all products offered for sale are safe. With support from Surrey Police, trading standards officers visited each outlet last week to check they were complying with the law and seized samples of dozens of different varieties of product. 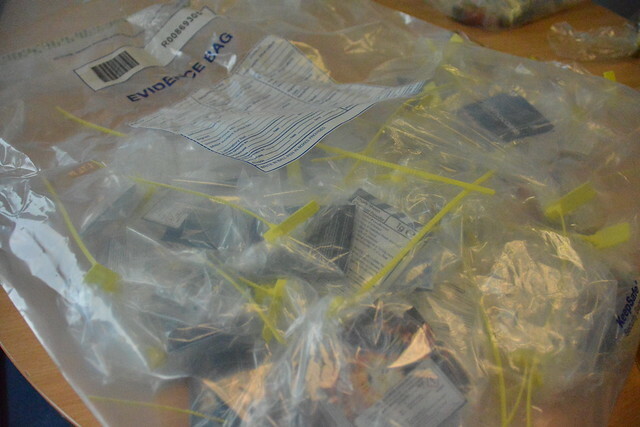 The seized packs were a mixture of tablets, powders and liquids, labelled with a wide variety of brand names. In total, more than 100 samples were taken away for laboratory testing by police and trading standards. The shops have also been ordered to withhold all remaining stock of product lines taken away for testing. Mr Ruddy added: ‘The number of hospital admissions and deaths associated with these drugs or “New Psychoactive Substances” – commonly known as “legal highs” – is increasing around the country and we are seeking to use all legal means at our disposal to tackle the issue in Surrey and Buckinghamshire and to protect the health and wellbeing of residents.’ Users of New Psychoactive Substances (NPS) cannot be clear what ingredients are in them and they can cause unpredictable reactions. Superintendent (Operations) Duncan Greenhalgh, of Surrey Police, said: ‘We are committed to helping make Surrey a better and safe place in which to live and work. 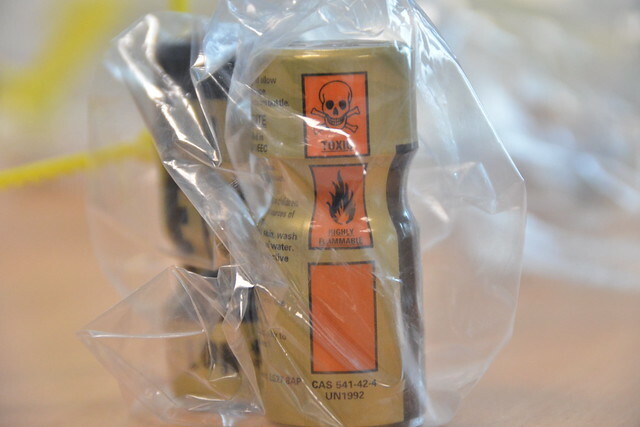 We will continue to make people aware of the risks associated with NPS but the safest way to deal with such legal highs is to avoid them.’ The trading standards services at Surrey County Council and Buckinghamshire County Council were merged on 1 April to form a new joint service. The tie-up will harness the expertise of both teams to give consumers even stronger safeguards and businesses an even better service.